With the cast of Captain America: Civil War basically looking like Avengers 2 1/2, Marvel fans who are still wondering where Hulk (Mark Ruffalo) went in his quinjet near the end of Avengers: Age of Ultron will have to do just that. Mark Ruffalo has confirmed that Hulk will not be in the next installment of the Marvel Cinematic Universe (MCU). 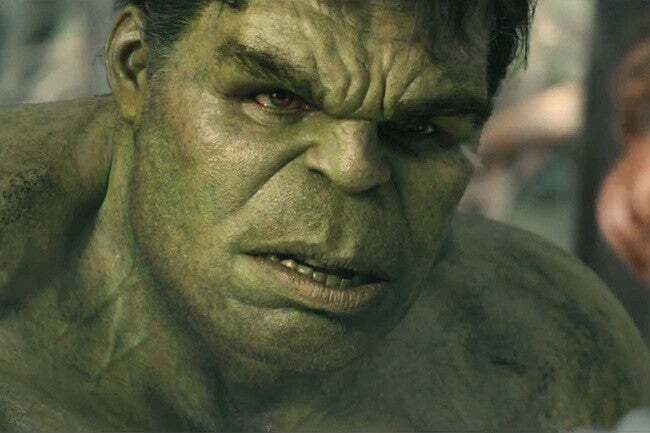 In a translated interview with Italian film site badtaste.it, Ruffalo stated, “I thought that I would be in the film, but in the end evidently believe that reveal what happened [to] Hulk is something too big, and Marvel wants to use this information later. My character had been inserted in the script, but then it was taken away. Who knows, maybe Hulk will never return. However, they want to keep the revelation of what happened a secret, because it is something really big.” What this means is that we could see Hulk pop up in an upcoming MCU film for a big reveal. A popular fan theory was that he would show up in Guardians of the Galaxy Vol. 2, however director James Gunn stated that no Avenger (including Hulk) will make an appearance or cameo in the Guardians of the Galaxy sequel. Captain America: Civil War is set to hit theaters May 6th, 2016.